An effective collateral management program shields investment management firms from counterparty risk, helps traders correctly price proposed trades, and provides a realistic assessment of trade viability by incorporating collateral costs. 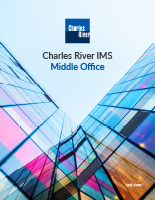 The Charles River Investment Management Solution (Charles River IMS) provides comprehensive collateral management capabilities for the front and middle office, eliminating the need for 3rd party collateral platforms and costly integrations. Regulations such as EMIR, Dodd-Frank, OSFO-BSIF, and others based on the Basel/IOSCO policy framework have significantly increased collateral and margin requirements for non-centrally cleared derivatives. They also require that standardized OTC derivatives now clear through central counterparties (CCPs). 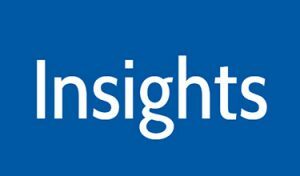 Charles River provides real-time, pre-trade margin estimates for exchange traded futures, options on futures, cleared credit and rates as well as uncleared OTC derivatives. 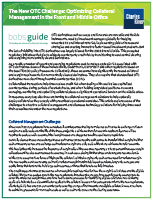 Charles River automates the collateral management life cycle, enabling middle office staff to manage the process efficiently and minimize avoidable errors. Integrated compliance capabilities enable clients to set up both bilateral (uncleared) and cleared CSA agreements. When a portfolio manager allocates an order pre-trade, Charles River verifies that a CSA exists for each allocated fund comprising the order – and prevents a trade if not. Collateralized OTC derivatives transactions help firms reduce credit risk when dealing with smaller, less capitalized counterparties, during periods of market shocks, and when holding long-dated positions.